The causes of hair loss in young females remain a topic every lady is interested to have an answer to. Why? It is because they are directly involved and they care so much about their look, especially their hairs as it is a part of the symbol of feminism. No young female ever looks good when she suffers from hair loss. Though this is not peculiar to females alone, the worries are more when it concerns young women. The reason why young females are so conscious about their look is that they want to be sure they are good enough for the guys and anything that stands in their way is an enemy. Hair loss certainly makes a girl look like a guy and lowers her self-esteem. It is right to use the term “androgen alopecia and female pattern hair loss to describe hair loss in young females. Androgen alopecia refers to hair loss which results from adult levels of androgen due to genetically determined sensitivity of the hair follicles. Androgen alopecia is the commonest cause of hair loss in young females. But before arriving at a final diagnosis, you need to rule out other conditions like alopecia areata or telogen effluvium. The telogen phase is the period when hairs are usually shed. 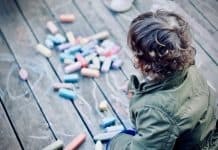 Telogen effluvium is a disorder of the scalp that is distinguished by an increase in the number of undamaged hairs shed in the telogen phase due to a change in health status. The process that determines when the hair should go into the anagen, telogen and catagen phases is a complex one. 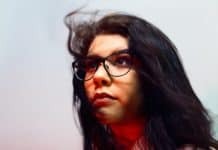 People who have telogen effluvium seem not to be in control of what happens to their hair, as some external factors give instruction to the scalp to shed an unusually high amount of hair as the hairs progress into the telogen phase. Some of those external factors are pregnancy, medications, stress, malnutrition and the rest. The body depends on vitamins such as B6 and C for stimulating hair growth and for maintaining healthy hair as well. But whereby there is a deficiency of the vitamins, hair loss in young females could result. Another cause of hair loss is iron deficiency. Genetics has been implicated as a cause of hair loss in young females. People with a family history of premature balding are more prone to losing their hairs at an early age, young ladies inclusive. Stress is also known to lead to hair loss in young women. When under a severe stress, the body becomes weakened and prone to other forms of illnesses. Severe stress leads to three different types of hair loss – Telogen effluvium, Trichotillomania, and Alopecia areata. Hair loss related to stress is sometimes not permanent but reverses itself as soon as the stress is put under control. 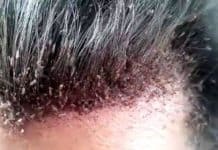 Regular over-styling of the hair with hot tools, dyeing, and chemical treatments like straighteners, bleaches, and permanent wave solutions can hasten hair damage and subsequently lead to hair loss. If you regularly use barrettes, rollers or rubber bands, or when you pull the hair into tight styles, they can cause an inflammation of the hair follicles and even lead to scars. Variations in the levels of testosterone and estrogen can stimulate loss of hair in young females. During menstruation in females, there is a fluctuation in hormonal levels sometimes. Testosterone is converted by the enzyme 5-alpha reductase, into dihydrotestosterone (DDT) which has the power to make hair follicles shrink, thereby causing some difficulties in growing new hairs. The hair loss is likely to continue until the hormonal fluctuation is corrected. 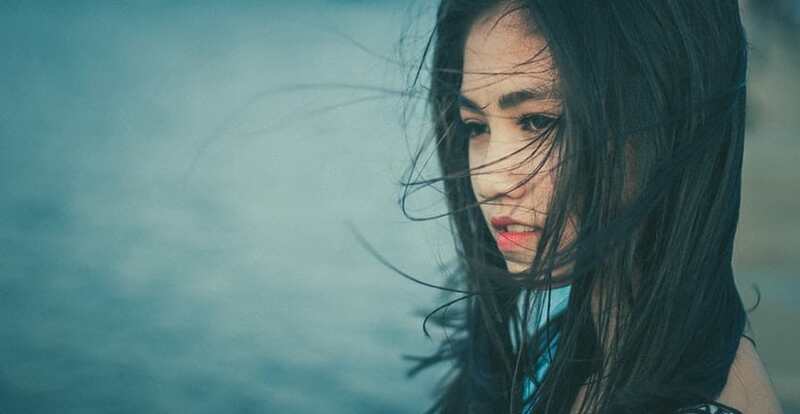 However, hair loss in young females could be a symptom of polycystic ovarian syndrome, a condition that is common in women below the age of 45. Some medications like antidepressants, blood thinners, anticonvulsants, male hormones, female hormones, Angiotensin-Converting Enzyme Inhibitors, and oral contraceptives can produce hair loss as their side effects. In a number of cases, the hair loss is temporary and the hair grows back once the medication is stopped or there is dosage adjustment. A good diet contributes in no small measure in making us look healthy. 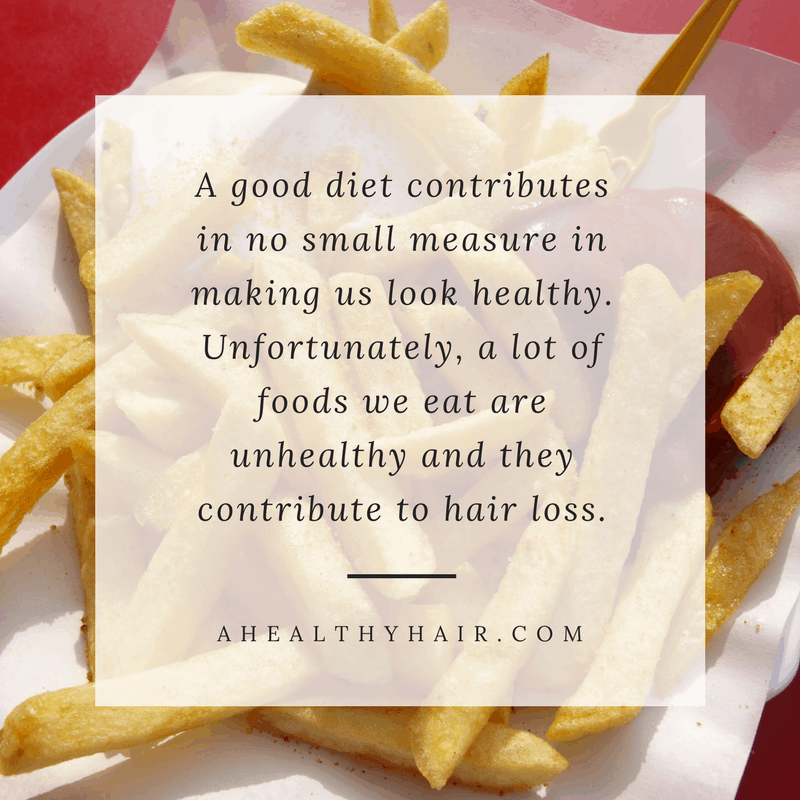 Unfortunately, a lot of foods we eat are unhealthy and they contribute to hair loss. Some of the diets include eating fried, salty diets that have high saturated fats. They usually cause acne, obesity and hair loss. When you eat poor diets, the body is deprived of some important vitamins and nutrients. The body may then conserve the small quantity that is available for vital body functions, thereby reducing the amount supplied to the hairs. This eventually leads to hair loss. To prevent premature hair loss in young females, they can eat healthier foods that encourage hair growth, like walnuts, guavas, salmon, avocados, and red meat. Occasionally, excessive loss of hair could be a sign of some deeper medical conditions. For instance, infection of the scalp can lead to hair loss. In some cases, skin disorders, underactive or overactive thyroid can equally result in hair loss in young females. An inactive lifestyle is known to contribute to obesity, depression, and other health problems. It also indirectly contributes to hair loss in women. To prevent this, it is advisable to do at least 30 minutes of exercise daily. There are several causes of hair loss in young ladies. So, to be on the safe side and to be able to apply the right solution, it is advisable to first find out what the exact cause is before trying to apply any form of treatment. If you notice that you are losing hair, see your doctor for proper diagnosis.